Note: You should visit the FTC website at: www.ftc.gov at look at: 16 CFR Part 306 - RIN #3084-AA45 for more complete information on these requirements. Energy Technology Group, Inc. offers a wide range of products for diesel, biodiesel, biomass-based diesel, heating, and industrial fuels. Check out our EcoFlow? 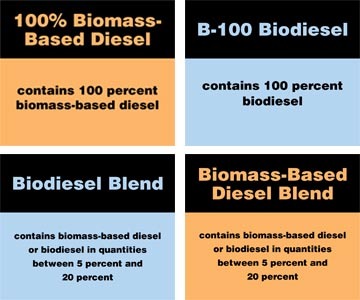 line of products for biofuels. If you would like more information or if you would like help in adapting to these new rules, please contact your Energy Technology Group representative.